On Monday, 10th March, JMC, our new IT Service provider visited Jubilee House. JMC will be working with Danbro to develop our systems and transfer our IT provision as seamlessly as possible into the new building. 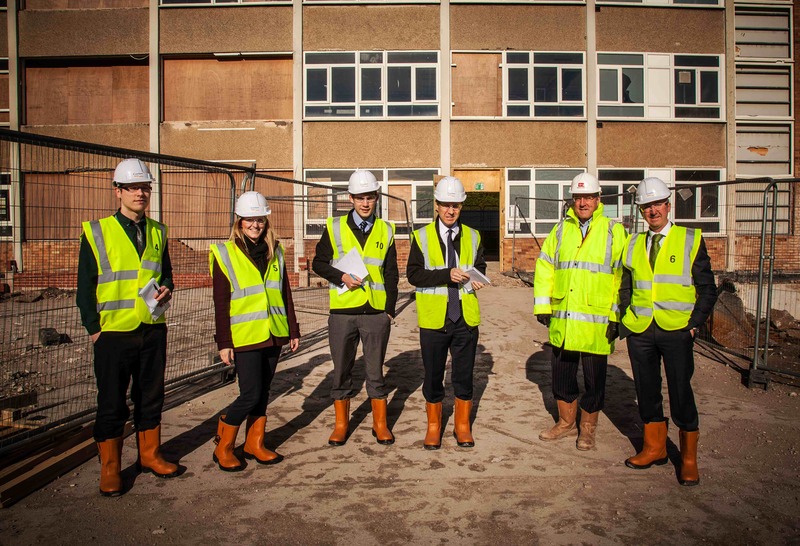 This was their first visit to Jubilee House to get a feel for the project, our vision and what’s involved. 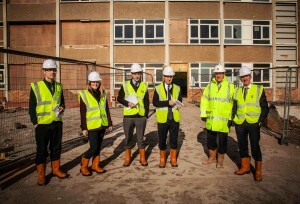 Here they are all appropriately kitted out for the tour of the building (and a lovely sunny day as well!). From left to right: Craig (Danbro), Katie (Danbro), Hugh Houlston, Peter Wilson (both JMC), Ed (William Clark), Damian (Danbro). This entry was posted in Design, Uncategorized and tagged Danbro, IT Service Provider, JMC, jubilee house by Helen Broughton. Bookmark the permalink.